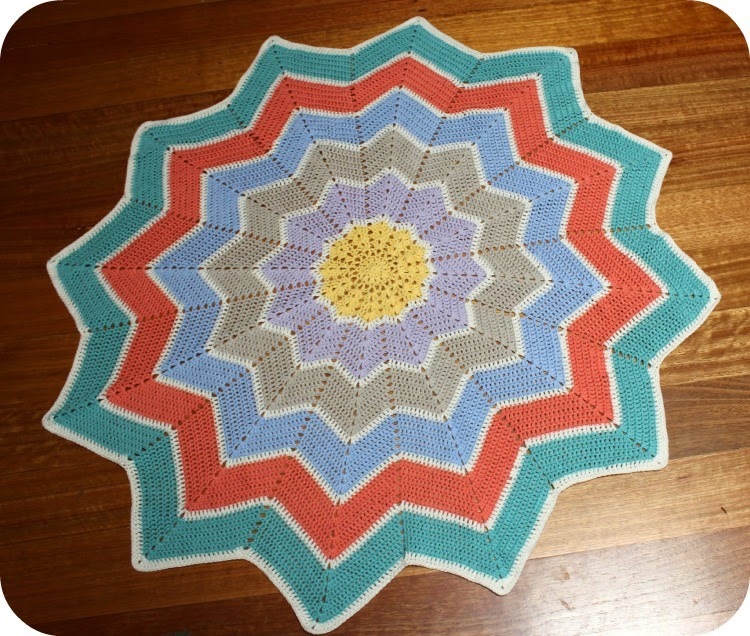 I made this pretty baby blanket for my sister who is expecting her first child this month. I'm so excited for her! 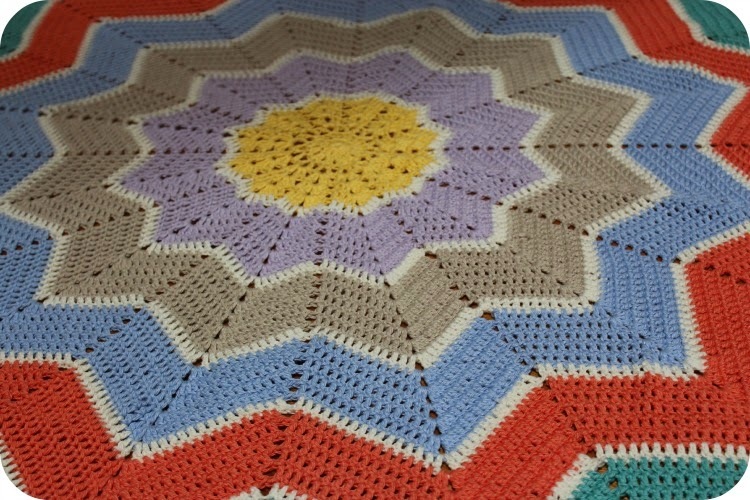 Its a free pattern by Celeste Young. My sister liked this design too and as they have not found out the gender of their pending arrival she asked for neutral colours but mentioned Teal as a shade they were thinking as appropriate. She gave me creative freedom in the other shades and while I did have some moments of doubting my choices it all came together in the end. I used Bendigo Woollen Mills 8 Ply cotton in the following colours - From the centre to the outer edge; Daffodil, Hollyhock, Latte, Blue (discontinued 2015), Peach and Light Teal. The shade between each colour block and on the border is Parchment.